Climb Iowa has two gyms, each equipped with their own unique ways to stay active and have fun. Find the gym that's right for you! March 29th - April 26th : 7PM & 8PM sessions: If you're new to climbing this weekly offering is the perfect way to get to know the basics. 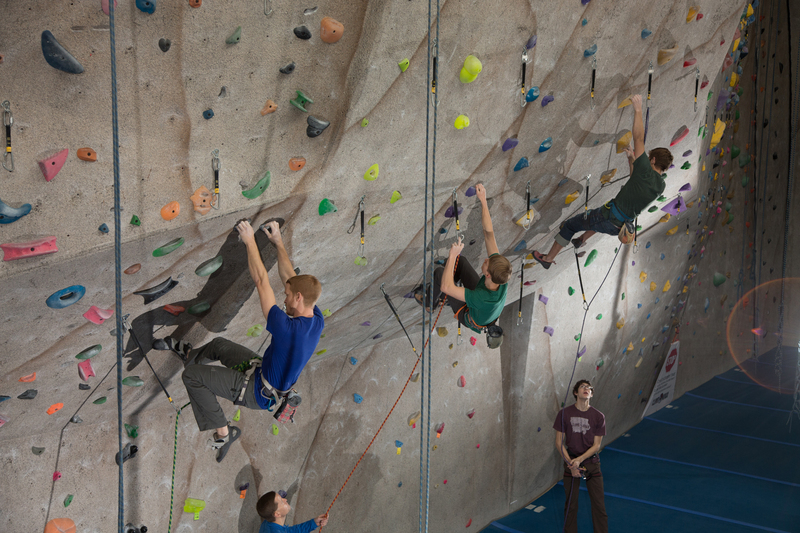 Spend an hour with a trained Climb Iowa instructor and meet some fellow beginners! Afterward, grab a drink with your friends next door at Peace Tree Brewing Co.
Bouldering! Where to start... This class covers a variety of topics for the beginning boulderer, including sending rules and grading, a little lingo, how to utilize our bouldering circuits, read boulder problems, apply what you know to your climb, and learn about the all important falling and spotting. Birthday parties at Climb Iowa are great for all ages! Book a party for up to 20 guests today! May 31st : 7PM-9PM: Hosted in East Village, we are bringing back our Dyno Competition. There will be both a qualifying round as well as a finals, where the top 2 competitors go head to head. Great wall with plenty of routes for beginners all the way up to expert levels. Very helpful, friendly staff and the facilities were super clean. Had a great time. Haven’t been in a climbing gym for years and this gym made realize what I had been missing. Great facility with plenty of quality wall space. Will be returning!! Climb Iowa is a wonderful place to host a birthday party for kids of all ages! They hosted my 8 year old son's party and we had a group that varied in age from 7 to 39 and everyone had an amazing adventure.